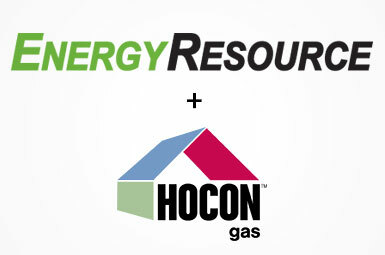 Energy Resource by Superior has joined forces with Hocon Gas—which has been delivering propane for more than 65 years. Hocon Gas is the largest family-owned propane company in Connecticut. Together, our two companies will deliver exceptional service, safety and convenience, delivered by the most dedicated employees in the business. We have more trained professionals than any propane company in the area and more than 400,000 gallons of propane in storage. Here are answers to some questions we think you may have. Everything you have come to like as an Energy Resource customer won’t change. The great employees of Energy Resource will still be at the same office ready to take care of you. Deliveries and service won’t change—except you might see Hocon Gas delivery trucks as well as Energy Resource vehicles. You may also see Hocon Gas service technicians if they can respond faster—and that’s very important if you have an emergency! Payment terms remain the same and you can also call the same phone number as before. You’ll notice some minor changes to your delivery ticket. If you are on a budget payment plan, next year your payments will be spread out over 11 months. For your convenience, we are consolidating everything here, on the Hocon Gas website. You will now have 24-hour access to your account, and you’ll be able to pay online. And, of course, we now have more technicians and drivers, so we can get to you faster. We can also offer you more appliances than before and our storage capacity is much larger. If you link your account to a credit card for automatic payments, we need you to call our office to set that up again. We are doing this for security reasons. Otherwise, everything is continuing as usual. Is Superior staying in its other businesses? Yes. While their propane unit is merging with ours, everything at their other divisions remains unchanged. You can visit their website here. Will my fuel cost stay the same? As you know, the price of fuel can change daily, due to many outside factors. But the pricing structure you had with Energy Resource will remain the same now that we are together. What other services will now be offered? We can offer reliable heating oil deliveries at prices guaranteed to be at least 25¢ per gallon below the average price in the state of Connecticut. Please visit this page for more details. We also offer a range of Home Comfort Service Plans that many customers find extremely helpful. Go to My Account, to sign up for access to your account (or log in to your existing account). You can see transactions, make a payment, and/or register for Auto Bill Pay. Have other questions? Contact us or call your Energy Resource office at 860-620-1500.